MS(N) in Cardiovascular Nursing, University of California, San Francisco, Calif.
PhD in Physiological Nursing, University of California, San Francisco, Calif.
My program of research has focused on testing skin microvascular responses to hydration, compression bandaging, and leg/body position changes in healthy aging adults and persons with or at risk for a chronic wound. I am currently the principal investigator on a grant funded by the National Institute of Nursing Research to examine the effect of seasonal variation of hematocrit, nitric oxide and endothelin on microvascular reactivity. Hematocrit, plasma nitrite/nitrate (NOx) and/or plasma endothelin-1 (ET-1) are important cardiovascular substances that impact microvascular reactivity. If it were known that hematocrit, plasma NOx and/or plasma ET-1 were related to altered microvascular reactivity during the winter, then, that would be the first step toward developing a novel and innovative approach to prevention and/or treatment of cardiovascular disease that would tailored to the seasonal physiology of middle-aged and older adults, the group at greatest risk for a cardiovascular disease event. My research takes place in the Wound Healing and Human Microcirculation Laboratory which is a state of the art human microcirculation research laboratory in the School of Nursing. Wipke-Tevis, D. D., and and Pickett, M. A. (2007). Impact of HIPAA on subject recruitment and retention. Western Journal of Nursing Research Online. First on June 5, 2007 as doi:10.1177/0193945907302666. Wipke-Tevis, D. D ., and Williams, D. A. (2007). Effect of oral hydration on skin microcirculation in healthy young and mid-life and older adults. Wound Repair and Regeneration, 15, 173-184. Stotts, N. A., Hopf, H., Wipke-Tevis, D. D. (2007). Cofactors in impaired wound healing (Chapter 25). In D. L. Krasner, G. T. Rodeheaver and R. G. Sibbald (Eds. ), Chronic wound care: A clinical source book for healthcare professionals(4th ed., pp. 215-220). Malvern, Penn. : HMP Communications. Wipke-Tevis, D. D., and Rich, K. A. (2007). Nursing management of vascular disorders (Chapter 38). In S. M. Lewis, M. M. Heitkemper, S. R. Dirksen, P. G. O’Brien, L. Bucher (Eds) Medical-surgical nursing: Assessment and management of clinical problems (7th ed., pp. 892-924). St. Louis: Mosby. Stotts, N. A., and Wipke-Tevis, D. D. (2006). Nurse Researchers: Who are they, what do they do, and what challenges do they face? In P. S. Cowen, and S. Moorhead (Eds.) Current issues in nursing (7th Edition, pp. 45-51). St. Louis: Mosby. Newland, P. K., Wipke-Tevis, D. D., Williams, D. A., Rantz, M. J., and Petroski, G. F. (2005). The impact of pain on outcomes in long-term care residents with and without multiple sclerosis. Journal of the American Geriatrics Society, 53, 1490-1496. Sae-Sia, W., Wipke-Tevis, D. D., and Williams, D. A. (2005). Elevated sacral skin temperature (Ts): A risk factor for pressure ulcer development in hospitalized neurologically impaired Thai patients. Applied Nursing Research, 18(1), 29-35. Wipke-Tevis, D. D., Williams, D. A., Rantz, M. J., Popejoy, L. L., Madsen, R., Petroski, G., Vogelsmeier, A. (2004). Nursing home quality and pressure ulcer prevention and management practices. Journal of the American Geriatrics Society, 52, 583-588. My clinical background is cardiovascular surgery and surgical stepdown/telemetry. Prior to pursuing my graduate studies I worked as a staff nurse, charge nurse, assistant head nurse and head nurse. 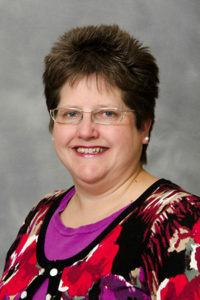 I have been at the MU Sinclair School of Nursing since 1996. I have taught Adult Health courses in the undergraduate and graduate nursing programs and supervise master’s and doctoral student research. Since 2001, I have served as the Coordinator of the Clinical Nurse Specialist area of study. She is a member of the Student Admission and Progression committee, the Master’s Curriculum committee and is the chair of the Graduate Student Scholarship sub-committee. Undergraduate, masters, and doctoral nursing students are routinely involved in the research occurring within this laboratory. During the last four (2004-2008), Wipke-Tevis PI has had 6 NIH-funded undergraduate EXPRESS scholars, 1 NIH-funded post-baccalaureate PREP scholar, 1 nursing doctoral student graduate research assistant, 6 nursing masters’ student graduate research assistants, 4 undergraduate nursing student assistants, and 1 exercise physiology masters’ student graduate research assistant working in her laboratory. “Seasonal variation in hematocrit and plasma nitric oxide in healthy young and middle aged men.” Poster Discussion Session by Deidre Wipke-Tevis. 32nd Annual MNRS Research Conference, Indianapolis, Indiana, March 28-31, 2008. “Skin microvascular responses to compression bandaging and leg elevation.” Podium presentation. 21st Annual Symposium on Advanced Wound Care and 8th Annual Meeting and Exhibition of the Wound Healing Society, San Diego, CA, April 24-27, 2008. “Nutritive and thermoregulatory skin blood flow in healthy young and middle-aged adults.” Poster presentation. 20th Annual Symposium on Advanced Wound Care and 17th Annual Meeting & Exhibition of the Wound Healing Society, Tampa, FL, April 27-May 1, 2007. “Effect of age, hydration, and local heating on skin microcirculation in healthy adults.” Podium presentation. 16th Annual Meeting and Exhibition of the Wound Healing Society, Scottsdale, Arizona, May 14-17, 2006.